Upon landing on a website, what’s an element that would grab your attention the most? Is it a parallax effect, an animation or maybe a stunning grid-based portfolio? What about a video background? A few decades ago a video background was not only difficult to complete, but it weighed down your website so much that you ended up hurting your user experience more than ever. Nowadays, it’s different, since the videos are compressed, they run smoothly and people have decent internet at their homes for processing these videos. Now that videos are useful when implemented as website backgrounds we’re seeing tons of huge companies utilize the feature. For example, if you go to the AirBnb site you’ll notice a fun video of someone traveling or walking around a beautiful house. 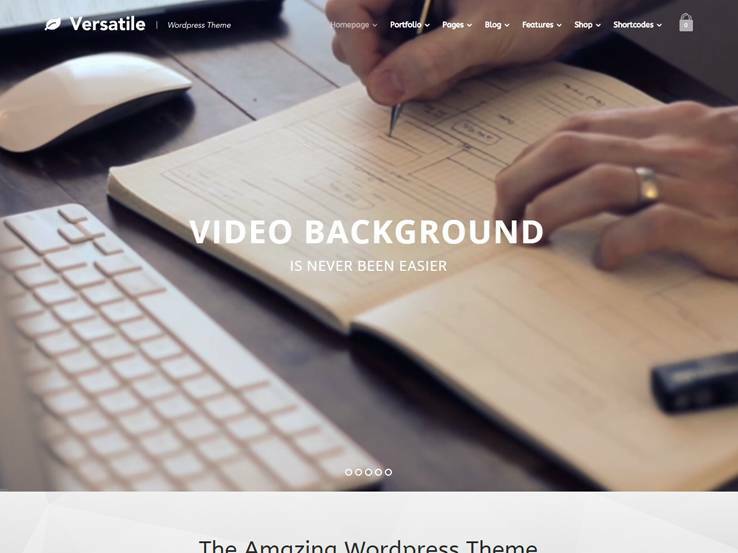 It’s somewhat enchanting, so if you’re looking for that wow factor, maybe a video background WordPress theme is right for you. Keep reading to find out the best options. 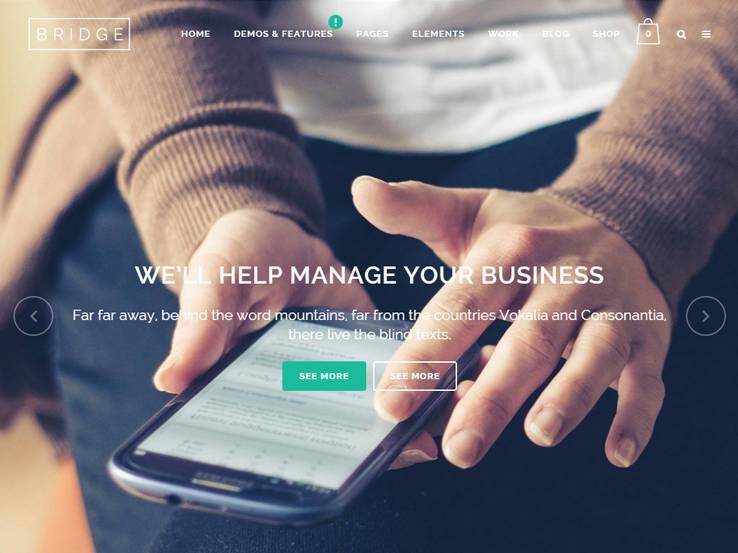 This type of theme lends itself well to creatives and business owners who want to make an impact. Therefore, many of the themes on the list include all the necessary features for a business website. Keep an eye out for portfolios, galleries, testimonials, services, and more. Even though the themes rely on video backgrounds, make sure they are also responsive to ensure everyone can easily see your website and enjoy all the high-quality content you have to offer. 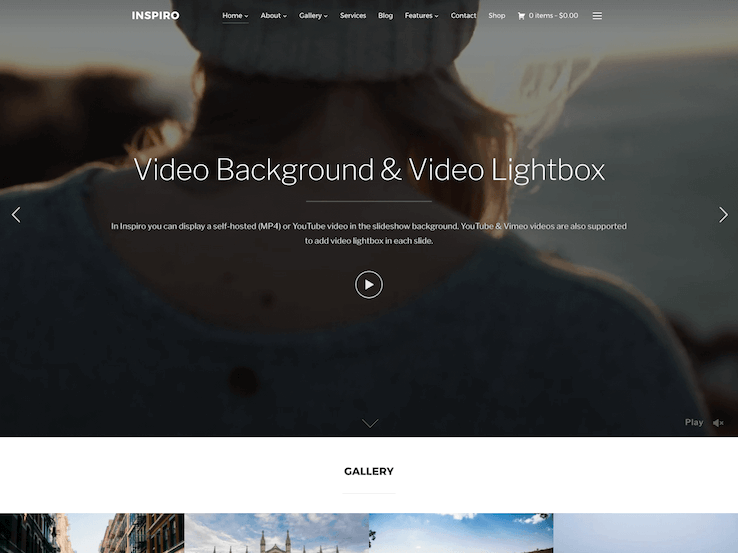 The Inspiro WordPress theme is a nice choice for those interested in beautiful video backgrounds and a layout that provides a modern look for just about any type of business. The amazing slider has all the animations and overlaying text settings you need to push people to your most important pages. In addition, the handy page builder makes it easier for both beginners and advanced users who don’t want to spend too much time with development. The video background is the primary feature in this theme, and it includes several animated transitions to grab the attention and move through various videos or images you may have. Create a custom mega menu for adding as much content as necessary on your website. The Inspiro theme is completely responsive which is an essential feature nowadays. The theme also includes tons of shortcodes enabling you to quickly insert elements like buttons and tabs without touching a single line of code. Add a full WooCommerce shop on your website to monetize it and sell both physical and digital products. Language support helps your translate your website while the FontAwesome vector icons add visual flair to your design. Along with a Google fonts collection and customizable headers, the Inspiro theme is one that you shouldn’t skip over. Websites with video backgrounds are great for creatives and businesses who want to go unnoticed. The Weston theme offers that and much more. You can easily add video backgrounds to make your sections more engaging, create portfolios with amazing effects, and sell your products and services with a robust eCommerce platform. 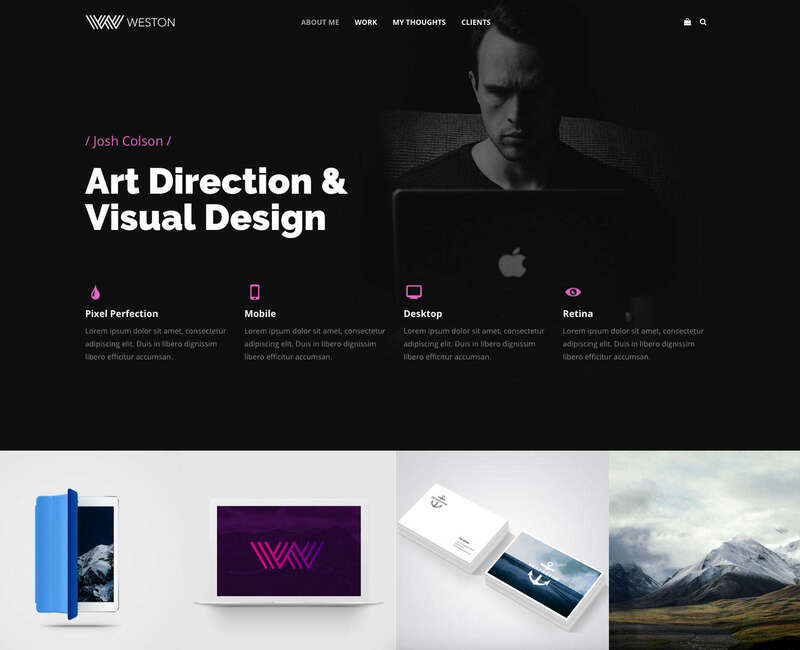 Weston is responsive for perfect display on smartphones and tablets. In terms of options, you’ll find drag-and-drop page builder, 12 different homepage styles, slideshows as well as color and typography options. Other features include contact forms, parallax backgrounds, multiple header layouts, and unlimited widget areas. The King Size theme comes up on many lists since it’s a top seller on Theme Forest and one of the more unique options you can choose from. The theme is responsive which means it looks good on any device and it has a full-screen slider and video area for grabbing the attention. Uploading a video is extremely easy and takes only a few minutes. Along with the background video feature, the theme includes five gallery types, which only add to the visual capabilities of this theme. The portfolio page is handy for selling your services and attracting new clients and custom admin panel is a breath of fresh air for beginners and advanced users. The King Size theme also includes various shortcodes which make it easy to add buttons and columns, which you would otherwise have to design yourself if not for the shortcodes. Finally, the entire King Size theme is widget ready, so it’s super easy to drop widgets in places like the footer and sidebar. 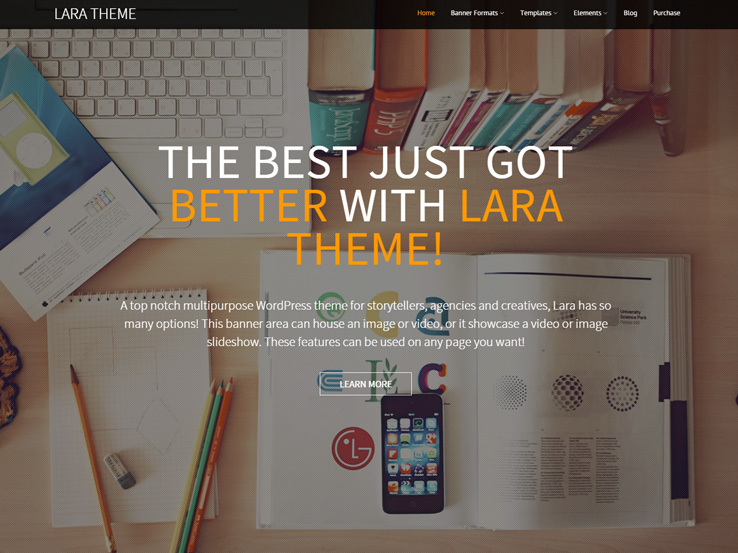 The Lara Theme is a one-page theme with endless possibilities. 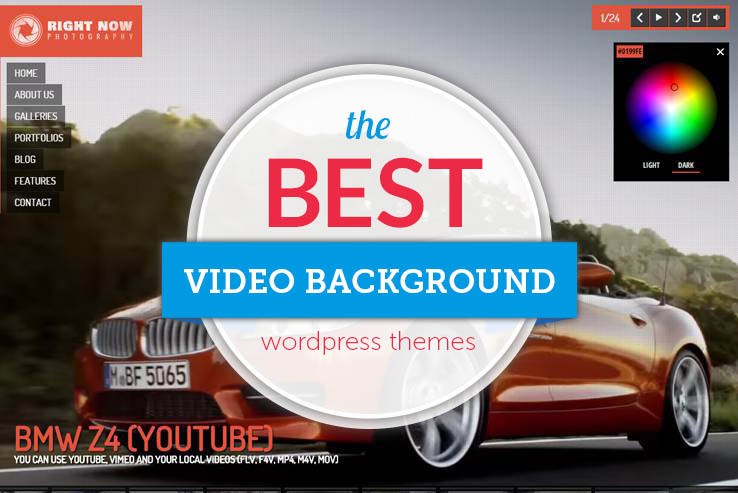 The video background is obviously the most notable feature, but the theme also offers six different blog layouts such as full content, sidebars, and more. The one-page format is packed with nine different sections which you can customize. Choose from custom layouts for blogs, testimonials, sliders, team photos, and more. The Lara theme is also fully responsive and looks great no matter which device your visitors are using. As with any other theme from Nimbus Themes, the Lara theme includes the entire shortcode library which also has FontAwesome Icons. Versatile color options ensure you can incorporate your branding and typography customization is always a nice touch. If you opt to include a background video or image with your theme, you can easily insert overlaying text and buttons. These are essential when trying to send people to other sales pages. The DK theme is a creative portfolio theme, with a fullscreen slideshow and the option to include videos in your backgrounds. Ten different page templates are handy for adding variety to your page layouts and creating all the different pages you will need. Support is provided for both photos and videos and you can upload your videos from places like YouTube and Vimeo. The DK theme is completely translation-ready for connecting with an international audience. An interesting feature is the ability to password-protect your galleries, preventing people from stealing the photos or not paying for them after a wedding shoot or similar. Seven custom widgets are included with the DK theme, including anything from a Twitter feed to a contact form, Vimeo video module to recent posts area. Chocolate WP has a sensual feel to it, and the features are just as powerful as any other theme on the market. 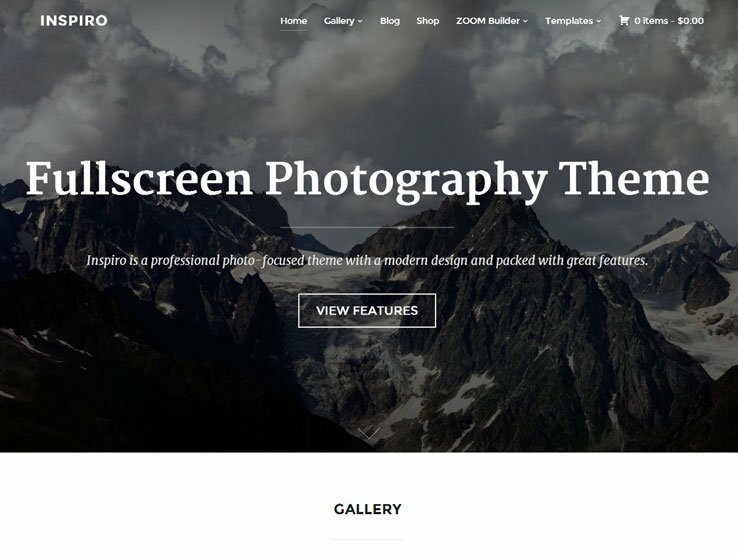 The responsive photography theme has a fluid masonry layout and it includes a full-screen video homepage, perfect for introducing clients and customers to your business. 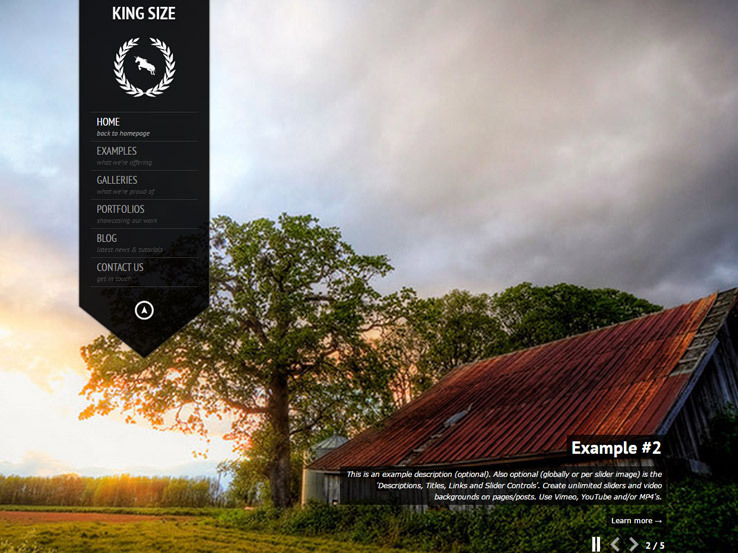 The unique two-level gallery will help you standout from other photographers and nine custom widgets can be placed in the footer or sidebar, which allows you to add various content to your pages without any coding knowledge. The Chocolate WP theme is completely responsive, which is nice for those who use their phone or tablets to browse the Internet. Along with the video homepage, you can choose between three full-screen homepage sliders, which are great for promotional banners and calls to action. 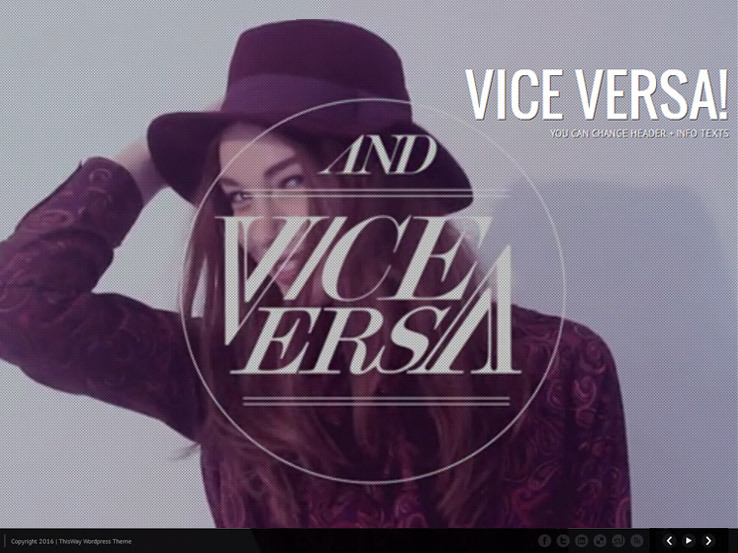 The Vignette theme offers a beautiful layout for photographers, models, and creative agencies. The theme lets you showcase your work in a professional format, with a rather minimal layout that puts your photos into main focus. The header area takes up the majority of the screen, and you can swap out the image for a background video if you really want to grab attention with your website. The homepage layout is rather flexible since you can edit different elements and customize to your liking. Custom widgets help you add social sharing icons, content modules, and more. The hidden navigation menu works wonders for the mobile interface, while also clearing out clutter when on a regular computer. Several other modules are available to play around with. For example, if you’d like an area on your homepage to show off your testimonials, it’s just a click away. This Way provides a full-screen image and video background, with bold lettering and a layout that clearly focuses on bringing in new customers. The theme is enhanced by the Vimeo and YouTube APIs, meaning that you shouldn’t have problems with any of the videos you upload. Multiple audio support is included for the background and a stylish animated menu adds even more visual appeal. The This Way theme is 100% SEO friendly which allows you to boost your search engine rankings. AJAX content loading is included with the This Way theme, which helps improve your page load speed. The portfolio filter provides a wonderful way for your potential clients to find work that’s relevant to their project. Along with over 650 Google Fonts, Google Map functionality, and contact form validation, the This Way theme is a great theme to keep in mind. 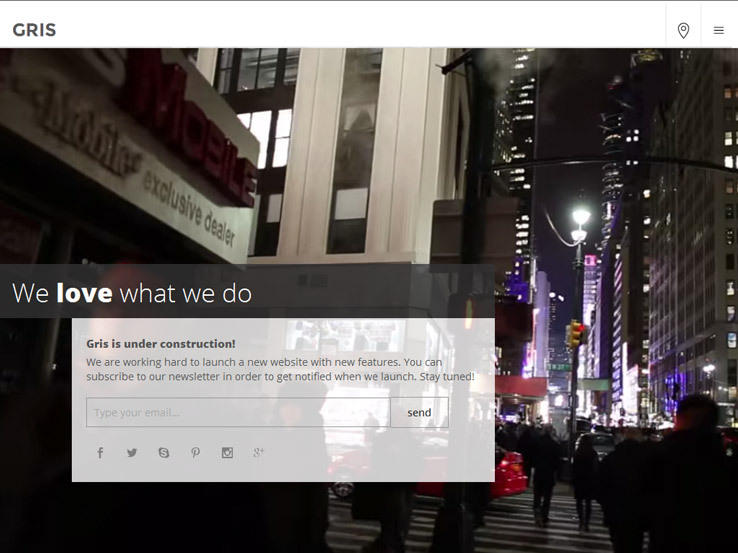 The SOHO theme is an interesting theme since the entire homepage is a single image or video and the media components are all in high resolution. The navigation menu is one of the cleanest on this list which makes it easy to navigate your website. The SOHO theme takes the full-screen layout to the next level with eye-catching and stunning presentations which are sure to boost your sales. Along with these cool video features, the theme includes a masonry portfolio and gallery, which is a unique way to express your creativity and share your past work. The ribbon gallery deserves a special mention because it provides an easy way for people to scroll through your images and a full-screen blog ensures the rest of your content will be displayed in the same stylish fashion. 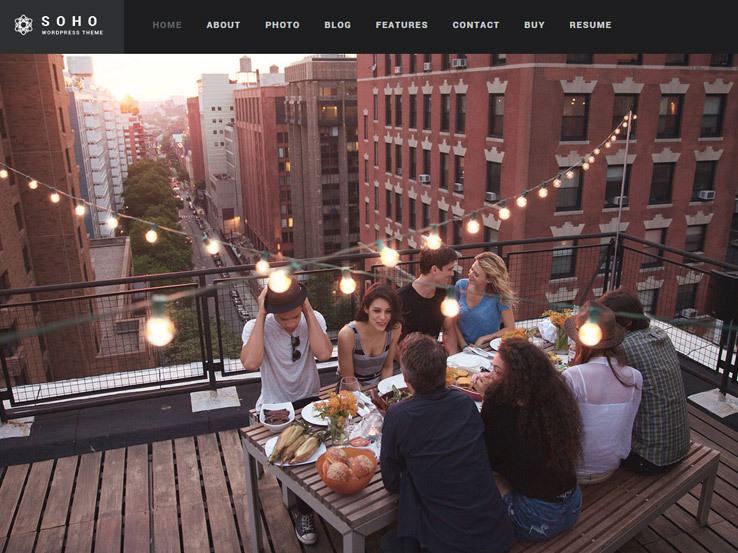 The SOHO theme includes many extra layouts and templates such as: coming soon page, custom 404 page, view/likes option, contact form options, custom landing page, and more. The Bridge theme is a creative multipurpose WordPress theme, packed with 100 unique demos and 24 layout concepts. Upload your videos and present them in a full-screen background and consider choosing from a large selection of fonts to round out your branding strategy. Create any type of layout with the free Visual Composer plugin and use the LayerSlider plugin for additional effects and sliders. Over 80 custom shortcodes are included with the Bridge theme, which means that you rarely have to custom code when using this theme. If you want to add a button or a column, all you have to do is find the right shortcode. The fully responsive layout is completely compatible with WooCommerce, helping you sell physical and digital merchandise. The full typography control is always a nice feature and the complete social media integration ensures you can grow your social media following. 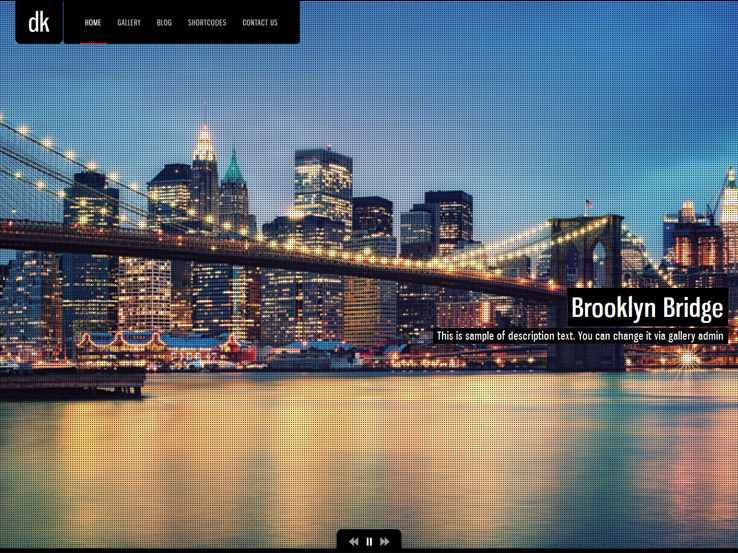 The theme also includes a parallax effect, AJAX transitions, and amazing blog layouts. There’s even a cool landing page template for selling items in style. The Elision WordPress theme uses the Amazing Qode Slider, which has full video support for greeting your visitors with fun or exciting videos. The page-builder is a handy tool for those who don’t have any coding experience and the animated transitions bring focus to your best products and services. 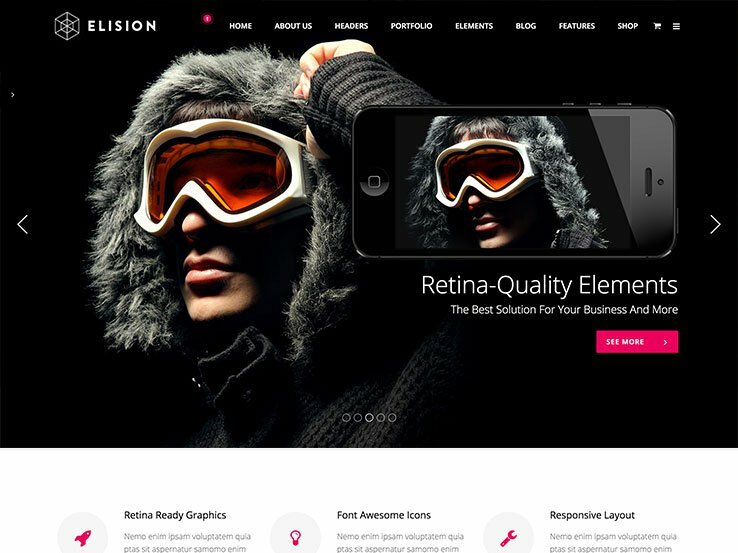 Along with a video background feature and retina ready graphics, the Elision theme is a great choice for any business niche. Custom mega menu helps you add as many pages into your navigation area and tons of shortcodes ensure that you don’t have to use a single line of code to add elements like buttons, accordions, columns, and more. The Ellipsis WordPress theme is a full-screen video theme with a responsive design that looks great on mobile devices such as tablets and phones. This is an HD portfolio theme which makes it an obvious choice for anyone who wants to showcase their past projects, considering all of the videos look great in HD. Ellipsis provides WooCommerce compatibility and it supports video, audio, and photo projects. Google Fonts and FontAwesome icons are included in the theme which help you highlight any section of your website. The theme comes with lots of templates, allowing you to create a completely unique design and layout. A comprehensive and customizable full grid system keeps your content organized and easy to view. The horizontal scrolling works well with the responsiveness of the Ellipsis theme and the gallery grid ensures that users can click on each video to view them in a lightbox. Use the blog page to publish helpful tips to attract traffic to your website and increase your search engine rankings. Don’t forget to use the full-screen header along with a text overlay and a call-to-action button to send visitors to your sales or landing pages. 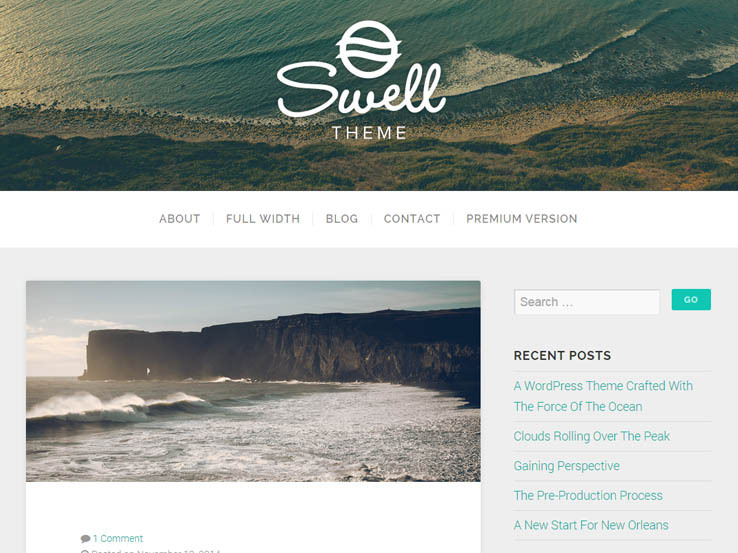 Swell Lite is a beautiful responsive theme that is sure to impress your visitors. The theme features a stunning header image which is the perfect place to add your own header image and a logo to build brand recognition. The theme also supports a custom background image which can be changed through the WordPress Live Customizer. The theme also supports featured images and videos to instantly draw your visitors in and encourage them to read your content. The theme looks great on any device and is retina-ready which is an essential feature to make sure your imagery looks stunning on high-resolution devices. Encourage discussion with threaded comments and rest assured your website will always load fast thanks to the optimized code. 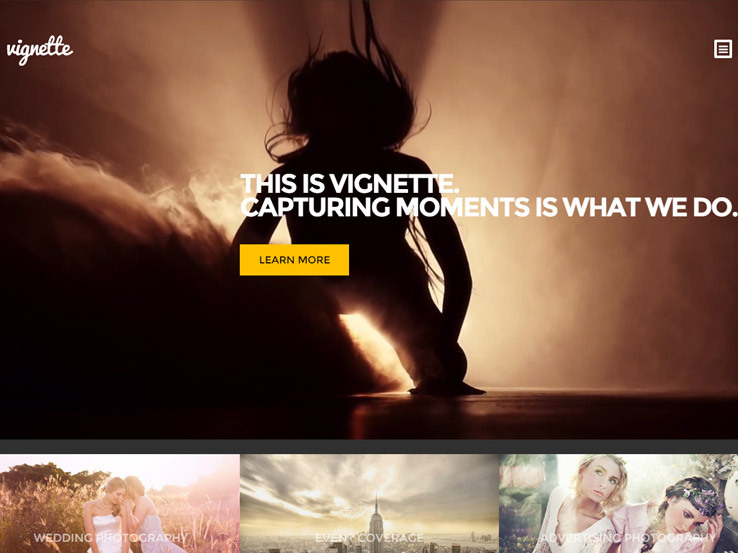 The 907 theme delivers a stunning one-page layout that’s built for users who want to make a site with video backgrounds. Keep in mind that the one-page theme has a parallax background as well, which gives you even more options to grab the attention of your visitors and showcase your content in style. Your visitors can easily choose to play any of the background visitors which means they won’t get annoyed with videos playing randomly right when they land on a site. They can also stop them at any time. Another benefit of this feature is that it won’t slow down your website. Unlimited blogs and portfolios offer you plenty of opportunities to share your knowledge and present your past work in a professional way. The theme integrates with WooCommerce for making your own little online shop and it also includes the Visual Composer plugin, which is the best option for those looking for a drag-and-drop editor. If you’ve never used the Visual Composer plugin in the past, you’ll realize that it helps you create any type of layout withut having to learn how to code and if you’re a website designer, it will speed up the design process on your client’s website. 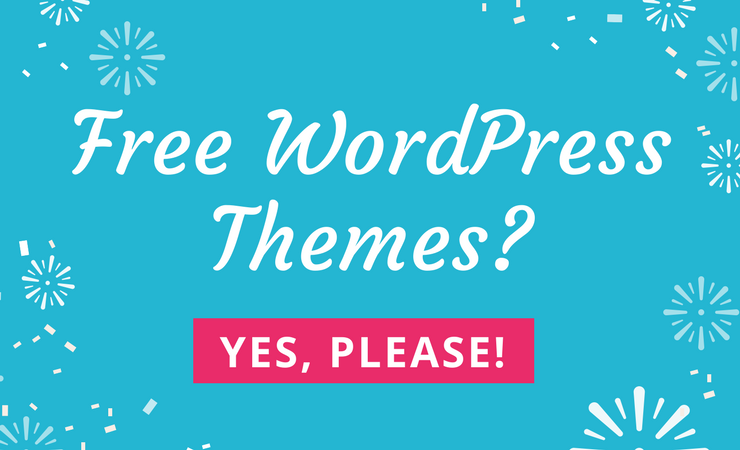 Along with the Revolution Slider, unlimited sidebars, and much more, the 907 WordPress theme provides quite a few features that anyone could use. 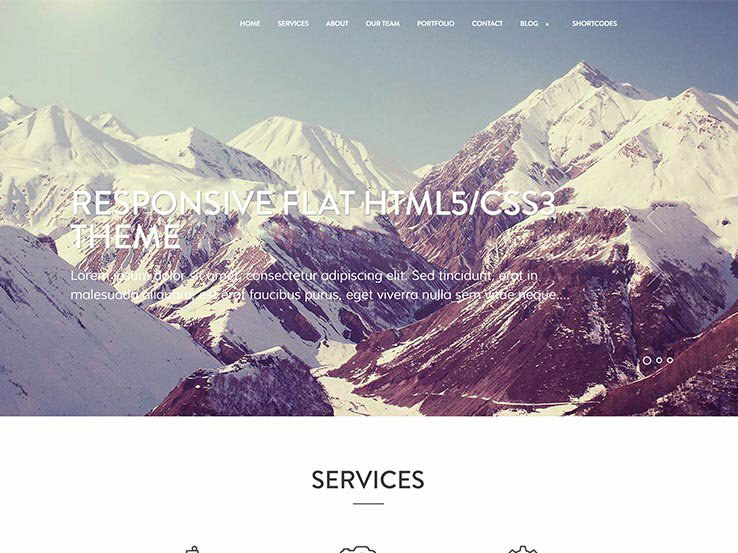 Mountain is a one-page theme with stunning parallax effects and video backgrounds. 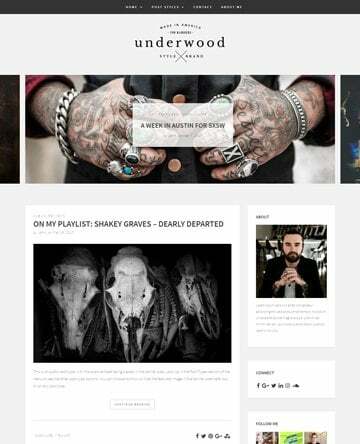 It’s a versatile theme that can be used for a personal blog, portfolio or agency website. Mountain is a fully customizable theme so you can customize each section to your taste with various background colors and images. 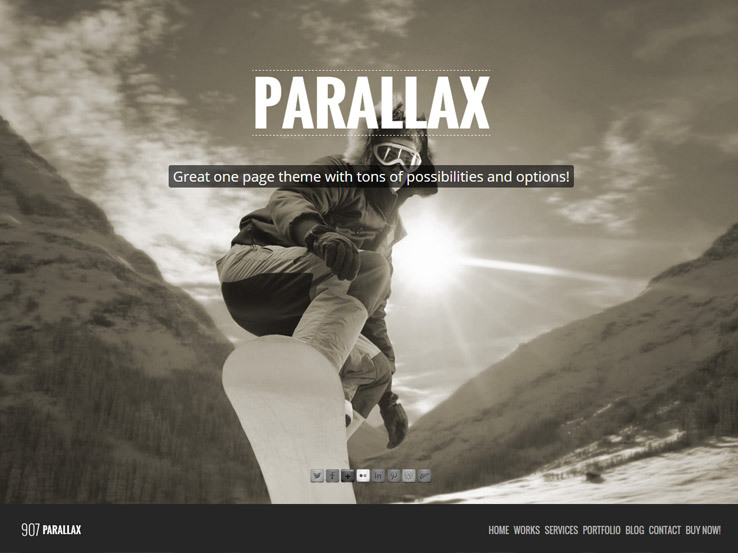 The parallax effect, smooth scrolling, and flat design will allow your site to look stylish and modern. 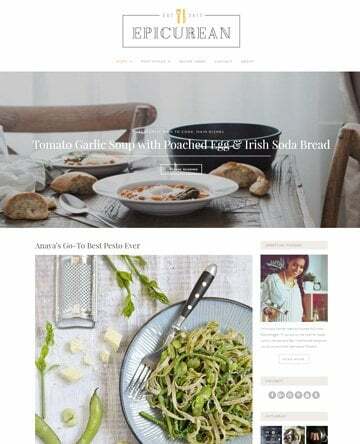 The theme is fully responsive and looks great on any device and supports various post formats so you can include a variety of content on your website. On top of that, Mountain includes the Visual Composer plugin which makes it easy to tweak your website layout without the need to touch a single line of code. The stunning flex slider will allow you to easily showcase your most popular content and the AJAX contact form makes it easy for your readers to get in touch with you whenever they need to. 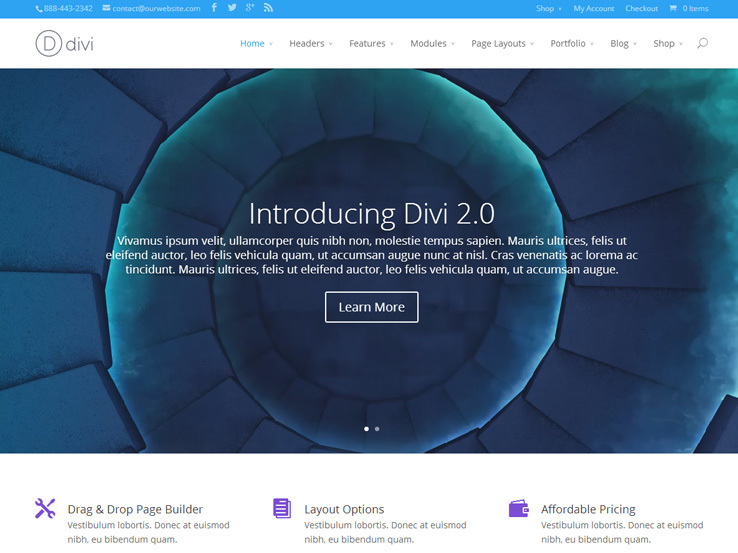 Divi is an excellent choice no matter which kind of website you want to build. 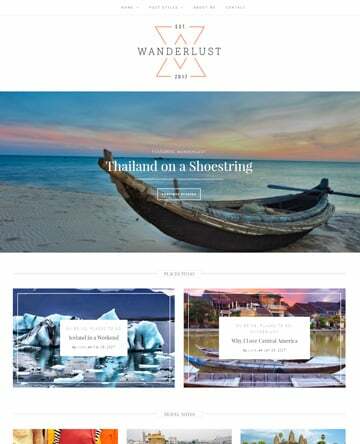 It’s a truly versatile theme with a plethora of options that gives you the ultimate control over your website’s look, feel, and layout. With support for video modules and video backgrounds, Divi is definitely an option you shouldn’t overlook. Using Divi is incredibly easy thanks to the Divi Builder plugin which provides a drag and drop interface to place content blocks into the desired section on your website. 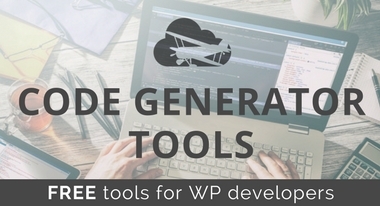 It includes modules for contact forms, accordions, blurbs, and more. On top of that, Divi ships with more than 20 layouts to choose from and each of them provides a nice starting point to design your website. The admin panel lets you tweak additional settings such as your colors, typography, header and footer elements, and much more. If you want to create a website that makes a lasting impression on your visitors, give Divi a try. 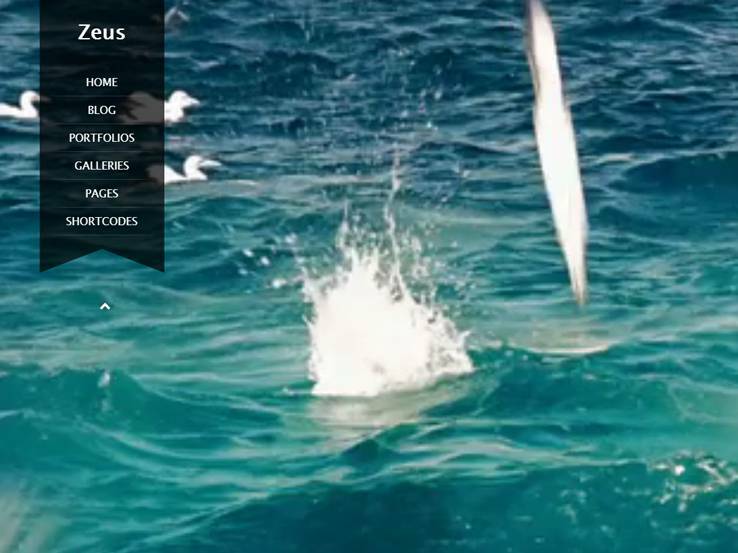 Zeus is an elegant and modern WordPress theme with fullscreen video background support. Besides, it also supports image and audio backgrounds, adding to the variety you get. 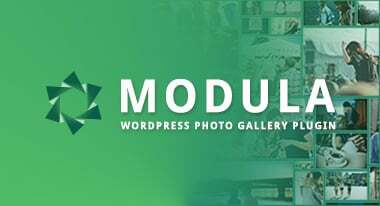 Perfect for creatives and business owners, the template comes with a nice slide out menu, a portfolio module for presenting your past works, and a beautiful gallery for showcasing your photos. You’ll find custom page templates for your services, contact, about us, and FAQs pages. Social icons are also available, making it easy for people to follow you and share your content around the web. Moreover, the Zeus theme provides Google map integration, translation tools, video documentation, and custom widgets. The Gris theme comes with 3 homepage designs including a variant with a fullscreen video background. This is a coming soon template, so the video includes an overlaying email subscription form so people can stay tuned for when you launch, and social media icons to connect with people on different platforms. In addition, the theme integrates with Google maps and features an elegant slide out menu. You’ll also find support for slider and static image backgrounds, as well as the ability to embed YouTube and Vimeo videos. Other theme features include an Ajax contact form and a responsive design that looks great on mobile devices. 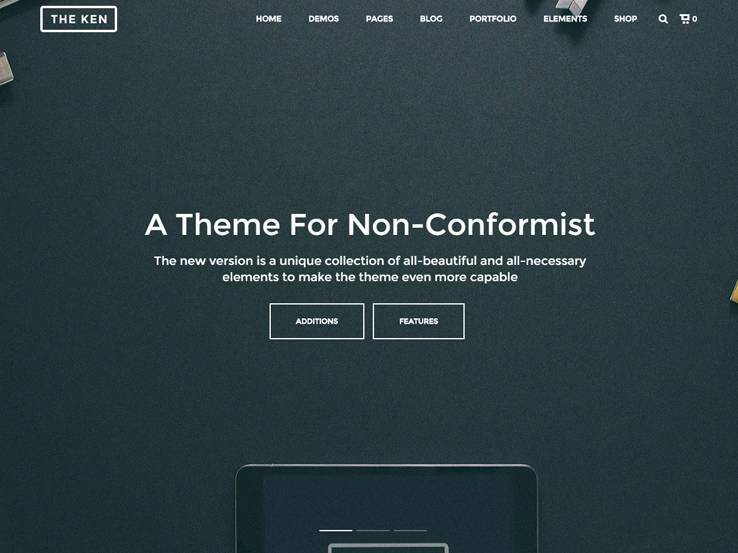 The Ken is a powerful, versatile and modern WordPress theme for creatives, startups, and any kind of business website. It comes with over 15 designs including a video-friendly layout that features a stunning video background and an elegant portfolio for presenting your work. It also comes with elegant typography, premium icons, and color options to add a visual appeal to your site. eCommerce integration allows you to setup an online store within minutes, while the blog is great for sharing your knowledge and generating more traffic to your site. Moreover, the template provides a powerful admin panel for easy customizations, custom widgets, sliders, shortcodes, and much more. 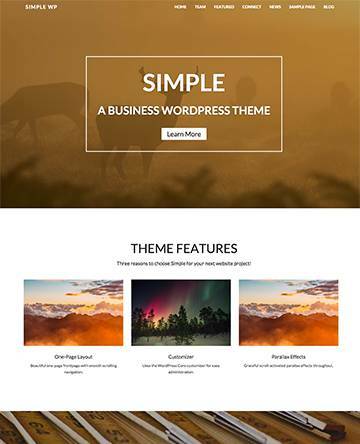 Right Now WP is an innovative WordPress theme that features a fullscreen video background complete with controls, a stylish side menu, and a scroll bar at the bottom for smooth navigation. The template also comes with an audio player, making it a great option for music related websites. Besides, there’s a gallery to showcase your photos and a portfolio to display your work. The blog provides an opportunity to share your expertise, while translation tools make it easy to localize your website. Along with Google maps, hundreds of fonts, color options, and social icons, this template is a powerful choice to build an impactful website. 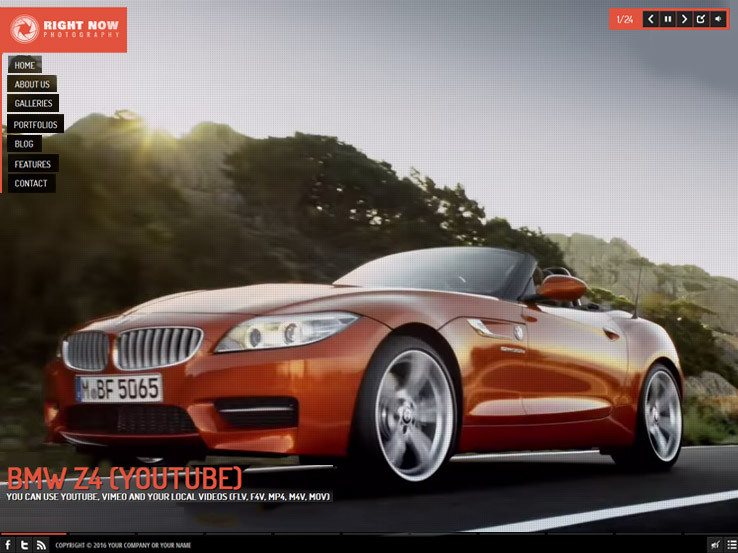 The BigFormat theme comes with a fullscreen video and image slideshow background. You can upload your own videos, or embed videos from YouTube and Vimeo. The logo sits nicely at the top left then right below it, you’ll find a stylish vertical menu for directing visitors to your inner pages. This template is perfect for showcasing your work as it comes with a custom portfolio post type with image and video support. Besides, you’ll find a powerful theme options panel, hundreds of fonts, translation files, a beautiful blog section, and shortcodes to easily insert things like columns, buttons, tabs, and more. 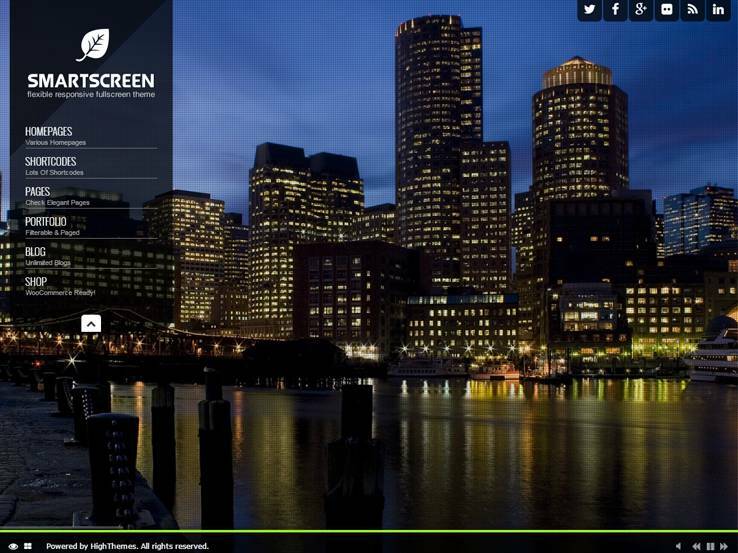 SmartScreen is a responsive fullscreen video background WordPress theme with great features for creating portfolio, photography, and online stores. It comes with the option for a video background or an image slideshow. The stylish design features social icons at the top right and an elegant slide-out menu on the left. You’ll have the ability to change the color of almost every element and hundreds of Google fonts to add to your site’s visual appeal. Along with that, the smartScreen theme is eCommerce friendly so you can easily start selling your products online. It’s also translation ready if you’d like to reach a global audience, SEO-optimized so you can rank well in search engines, highly customizable, and Retina-Ready for the perfect display on high resolution devices. 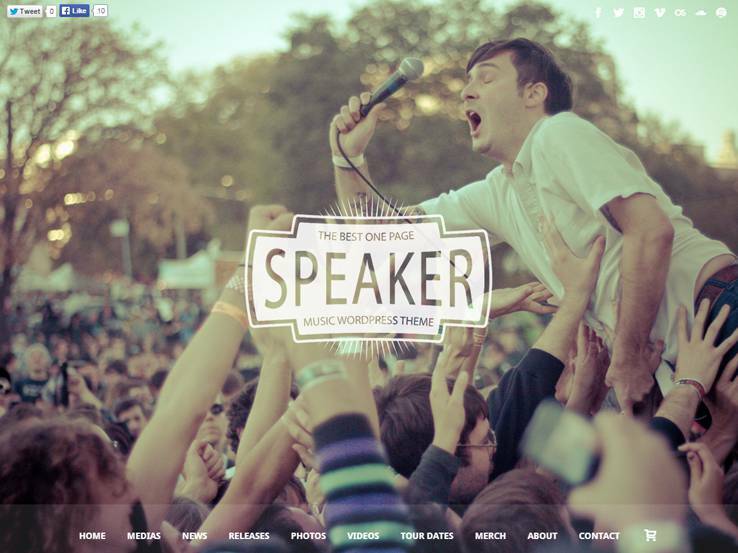 Speaker is a beautiful one-page WordPress theme designed for musicians. We included it in this list because it comes with the option for a video background – simply upload your video in the media library and set it as the background for any section. It also supports embedding videos from platforms like Vimeo and YouTube. Since the template is designed for musicians, you’ll find an advanced mp3 player, support for SoundCloud, and the ability to create multiple playlists. You can also add your discography and tour dates so your fans can stay updated on where your next performance is. Furthermore, the Speaker theme integrates nicely with the WooCommerce plugin, making it easy to sell your merchandise online. 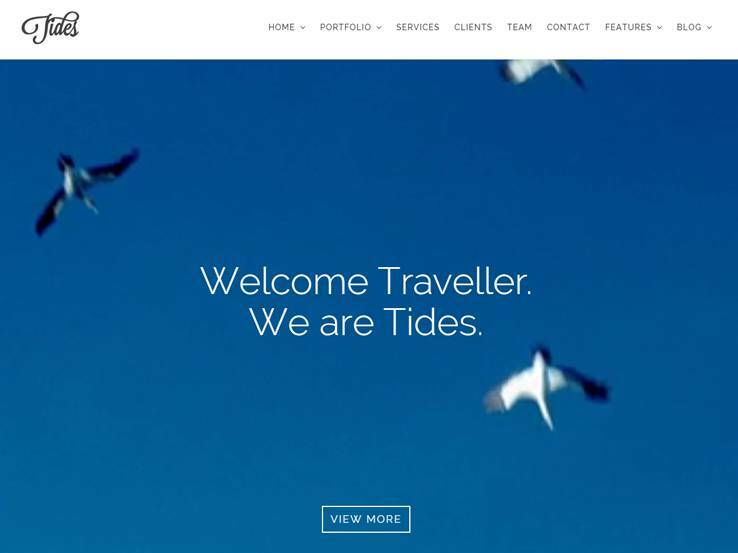 The Tides theme is a great choice for creatives and business owners looking to stand out from the crowd. It comes with 3 home layouts – video, gallery, and image. The video layout features a gorgeous video background in the header, complete with overlaying text and buttons to drive people to your important sections. The template is perfect for showcasing your work. It has a brilliant filterable portfolio with video and image support. Besides, there are beautiful sections to present your services, clients, team members, and testimonials. You’ll also find a contact form for people to easily get in touch with you, and social media icons for people to easily follow you. 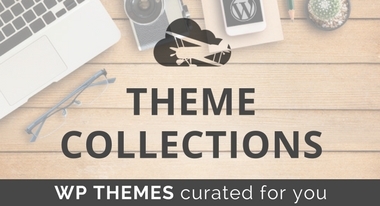 The Versatile theme is aptly named because it can be fully customized to fit almost any niche. It’s, therefore, not surprising that you can set a video background for your sections including YouTube videos. The responsive theme is packed with a ton of features and options including eCommerce support, a portfolio to showcase your work, social media integration, parallax backgrounds, and shortcodes to add things like columns, buttons, tabs, accordions, and more. Unlimited colors and fonts add to your branding options, while the blog provides an opportunity to generate more traffic to your site. Other theme features include mega menus, floating navigation, customizable sidebars, sliders, and much more. 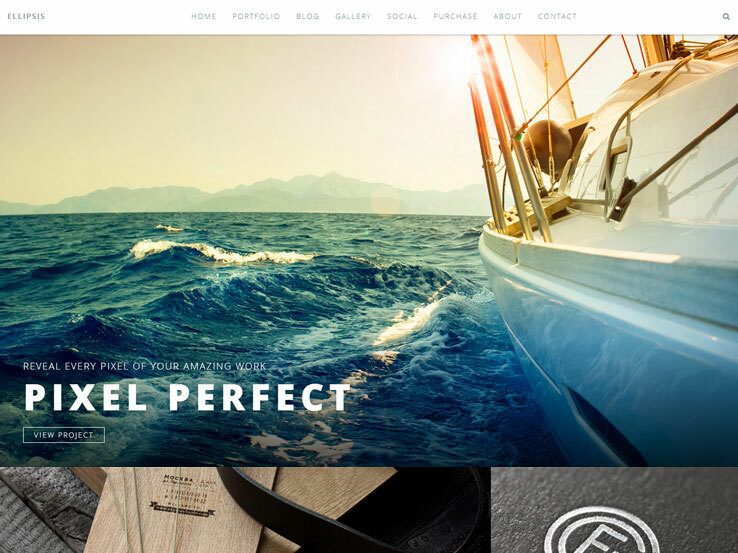 Meet Ghost WP, a gorgeous fullscreen WordPress theme with an impressive feature set. It offers the option to set a video background, or an image background with audio. It also supports YouTube and Vimeo videos. The template comes with lots of beautiful features such as an audio player, social sharing options, and a stylish navigation bar. You’ll find an elegant gallery to showcase your images and a filterable portfolio to present your work. There’s also a nice scroll bar for enhanced navigation, Google Maps integration, and a simple and clean blog section to share your knowledge and improve your search engine rankings.